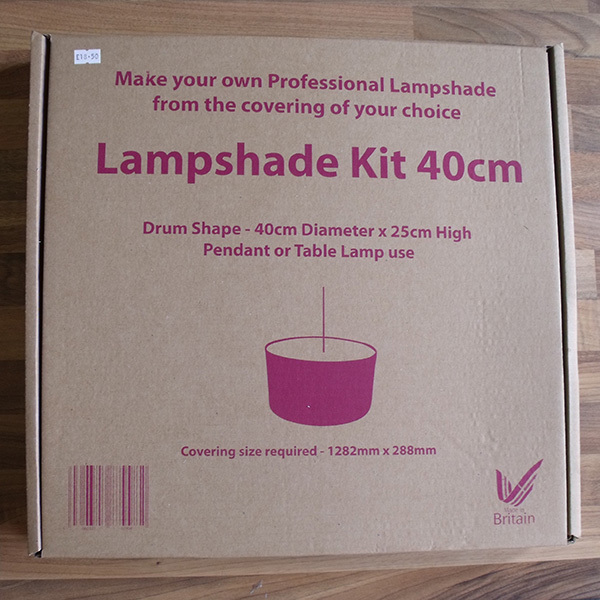 Our lampshade kits contain everything you need to make professional drum lampshades. All you need to supply is the fabric of your choice. For the 40cm lampshade, you’ll need 1282mm x 288mm of fabric. 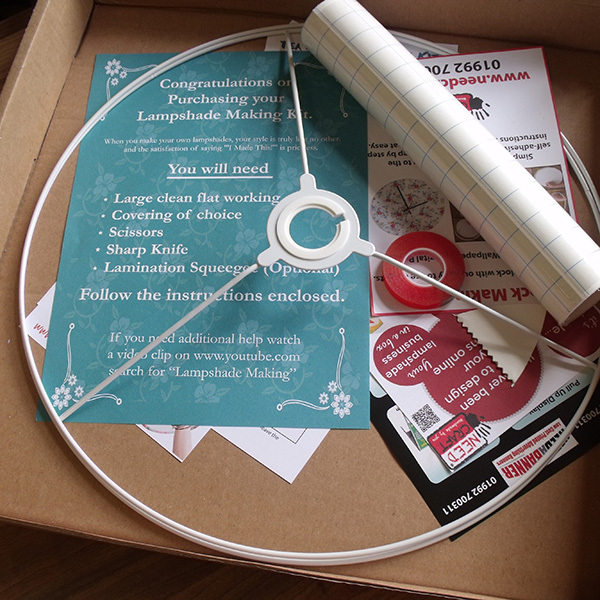 The kit contains a self adhesive lampshade panel, lampshade frame, rolled edge tool, double sided tape and instructions for how to make the lampshade. There’s also a link to a video tutorial which we recommend watching before making your lampshade. 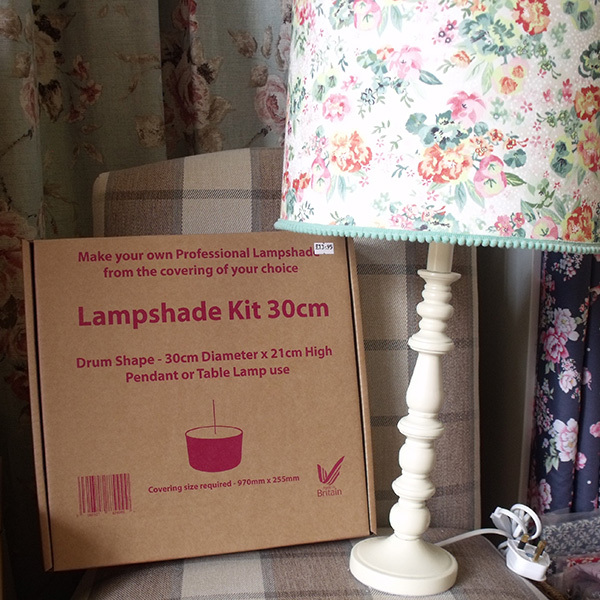 These kits are perfect for creating a lampshade to match a room theme or to make a completely unique product.